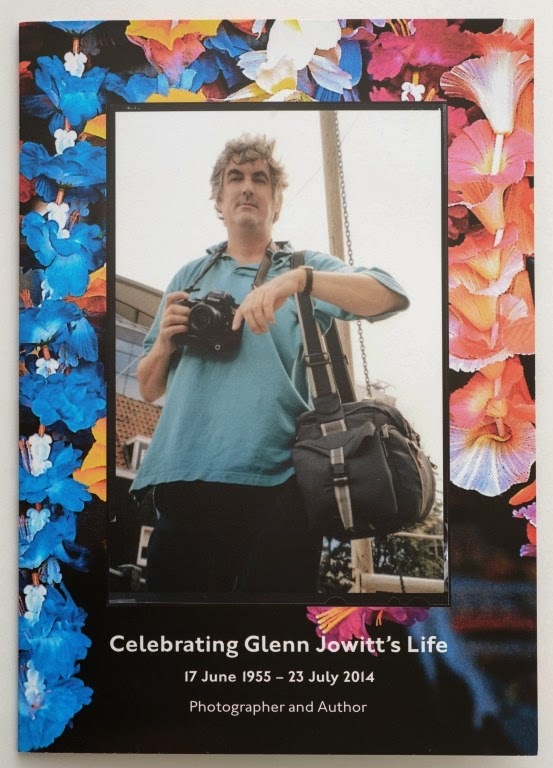 Yesterday I attended Glenn Jowitt’s funeral at the Grey Lynn Presbyterian Church on the corner of Crummer and Great North Road. The service was led with warmth, humour and reverence by the Reverend Nathan Pedro and the Reverend Mua Strickson-Pua. This well-known Church is a much cherished gathering place for Auckland’s Samoan, Tokelau and Tuvalu community. It is also one of this city’s loveliest Church centres and is sited just around the corner from Prime Road where Glenn lived for many years. Glenn’s mother, sister and brother were present. His niece also. They all spoke with much love and tenderness to the hundreds of friends present. It was the largest funeral gathering of any Auckland artist since the service for Don Binney at Saint Mary’s in Parnell. For all gathered there was a truly palpable presence of loss. Many tears were shed, many words were spoken. There were laughs and there were surprises at hearing delighting anecdotes. Glenn’s character emerged through a panoply of wonderful speeches. Glenn Jowitt was a distinguished and important camera artist. Auckland’s loss is our country’s loss and his passing is the Pacific’s loss. When I learnt of Glenn Jowitt’s passing I entered a veil of memory, recalling this wonderful man, this brilliant artist and most loyal friend. During the last decade Glenn and I spoke frequently about his on-going grapple with issues of his health. We would sometimes speak for an hour discussing what he was experiencing from and through his heart. We joked that it was Glenn’s blood machine, his heart was a living machine and his heart was a trusty yet unpredictable functionary that often held Glenn in its thrall. Glenn would laugh about this fact but he also got angry especially when he was in a meditative mood. He knew the dilemma that his heart delivered to his life and he expected its uncertainty with wry chagrin, he experienced its demands with patient humour, with sudden annoyance and sometimes with raw disdain. It was as if he would not, he could not; deliver his future plans to any vicissitudes of chanced health. He would overcome. He had to. His many photography and publishing projects demanded it. Glenn wanted to determine an on-going life for his images and he made his projects occur simply by willing them into existence. Glenn’s list of publications is a lengthy list and it is impressive. Read a short list that I have compiled. Simply said, and the truth is this: no other contemporary photographer in the world created a comparable body of photography which is in competition with what Glenn discovered and recorded . He was never told that he must work on this or that subject and he ensured that all his creative choices came from his own volition. Glenn felt a terrific need to keep on, to achieve, to overcome what he thought of as a frailty entirely outside of his body’s determination. Consequently, the word determination is his marker because determination is a key feature of this brave artist’s character. In the 35 years that Glenn and I were friends I always knew that he was an artist who made plans and these plans were to record, to picture, to document life as he saw it. There is a bohemian spirit within Glenn’s art and it is a spirit that allowed him to be at places few other camera artists would work at. Be it the back stalls of a rural racetrack. Be it the homes of gang members. Be it at a church on a Pacific atoll only accessible by sea. Be it at a huge international arts festival somewhere in the Moana. I have always been impressed by the fact that Glenn never, ever, pulled back from the ambitious nature of his photo-projects even though they frequently presented him with substantial problems. Problems of funding, problems of diplomacy, problems of accessibility, problems of timing and schedules, problems of publication. He surmounted all these issues because he wanted his artwork to be a vehicle of advocacy for the many people that he collaborated with. Especially peoples of the Pacific. I first met Glenn in the 1970s, very soon after Outreach (later Art Station, now Studio One Toi Tū) opened as a public access art studio in Ponsonby Road. I attended one of the early inner city exhibitions of contemporary Pacific craft to be held in any Auckland public gallery. Naturally, it was a huge community event and some of those present had never encountered a photographer who was so determined to document their opening event. They showed Glenn what we call ‘kawa’, the protocol of necessary behaviour. Glenn was very well-known throughout the Pacific for his ability and reputation as a photographer, yet Glenn remained humble as a person. As the years went on, Glenn became more humble. And it was at the beginning of his career when he first arrived in Auckland that he was shown humility, he was tutored in humility and this was a true lesson that he never forgot. The elders spoke to Glenn and he listened and understood their message. I interviewed Glenn at length some months before his death. We spoke about his photographic practice and he reiterated how all of his artwork came from his own volition. Glenn had the insight to know that we live in a Pacific place and that Pacific peoples are emblems marking the massive change that is happening in our society. We are becoming here each day, in every way, more Pacific as a people together. Glenn understood that the history of the Pacific has much to teach us all. In focussing on the peoples of the Pacific, he travelled extensively throughout the Pacific. Arguably more than any other photographer of his generation. He shared his images generously, always. Glenn cherished the astonishingly important traditions of the Pacific – be they expressed in heritage, traditional and customary ways as well as in contemporary and urban ways. The energy and the talent of Pacific peoples became one of the beacons which Glenn Jowitt’s art sought to affirm, acknowledge and celebrate. Glenn was trusted. He undertook his legwork properly and with politeness and correctness. 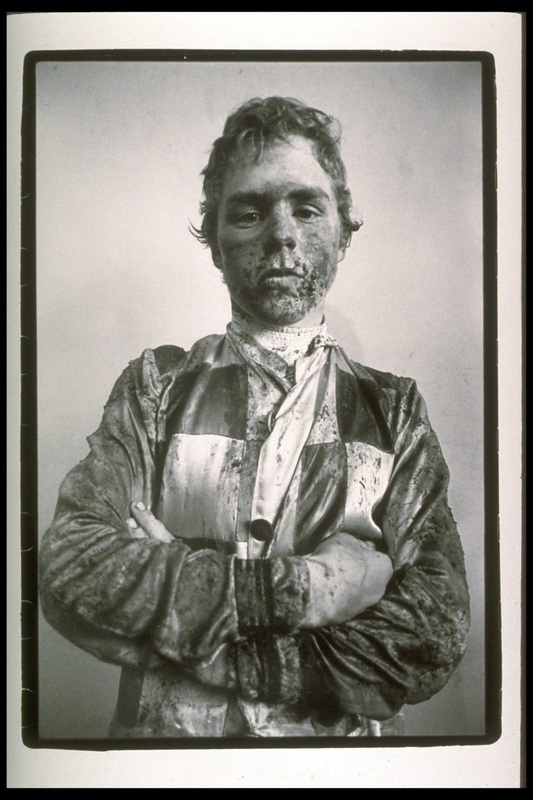 I have always thought that Glenn was one of New Zealand’s most assiduous camera artists; he was determined, patient and tenacious. In a career which spanned more than 35 years, he established an international reputation as a documentary photographer. I spoke to the much loved kaumatua Don Soloman yesterday and Don kindly confirmed what I recalled. It was Don that gave Glenn Jowitt his very first exhibition at Auckland when he moved from Christchurch. Don recalled that no Auckland dealer gallery would consider showing Glenn’s photography then. This is over 35 years ago. So, Don kindly offered Glenn the recently opened Gallery space at Outreach. The opening was a wonderful party and I think it was from that very moment that Glenn became an Auckland and took this city’s multicultural reality to his heart. There is no irony that Glenn’s Auckland reputation was born in a community gallery as Glenn was always an artist who took the aspirations of all the many communities that he had the privilege and the pleasure of working with to the core of his creativity. It is this love of people that singles Glenn Jowitt out. He shared his talent and he gave of himself freely. Glenn’s art, his photographs, is his life’s gift to us. Ron you gave a beautiful speech. 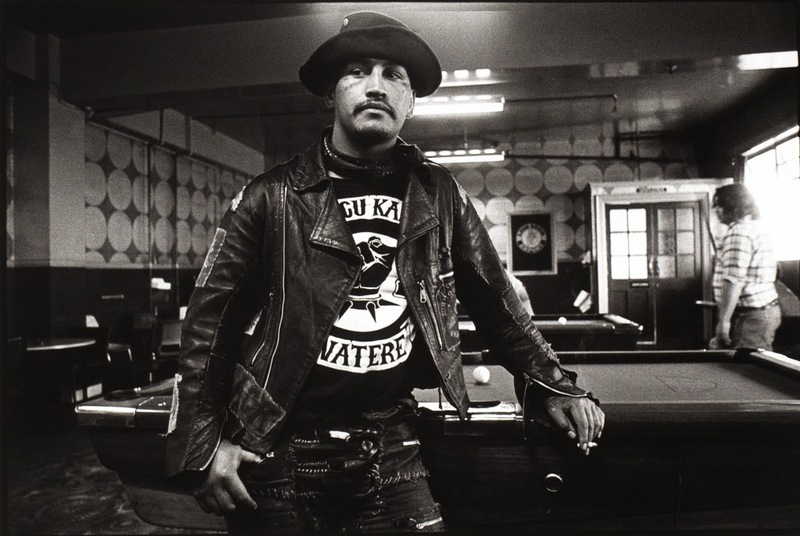 Thank you to you and the Auckland Art Gallery for the steadfast support of Glenn's work. But also Ron thank you for years of friendship to Glenn, I know he respected you greatly. Claudia Jowitt (Glenn's niece). Wonderful tribute to an inspiring photographer, thank-you. Thank you Ron for taking part in my brother Glenn's farewell ceremony. Your eloquent speech was a wonderful mixture of sadness, humour and your uniquely informed perspective on Glenn's work. It was my privilege to have traveled and worked with Glenn Jowitt as field researcher for the original Pacific Images collection in 1981/2. We traveled for six months documenting festivals, ceremonies and daily life in Western Samoa, Tokelau, Tonga, the Cook Islands and Niue. Our work was exhibited at the Auckland City Art Gallery in 1981/2 and also published by Paradise Productions in 1987. From the outset Glenn's mission was to "promote a greater understanding of Polynesian life in Auckland and in the homelands". Having visited the stunning exhibition again today, some 33 years later, at Wallace Arts Trust (Pah Homestead) there is no doubt that Glenn Jowitt exceeded this goal. Ron, you're eulogy at the funeral was a work of art and a wonderful tribute to Glenn. Youth Media Internship 2014: Do you need it? Yes! Youth Media Internship 2014: What's the Big Idea?